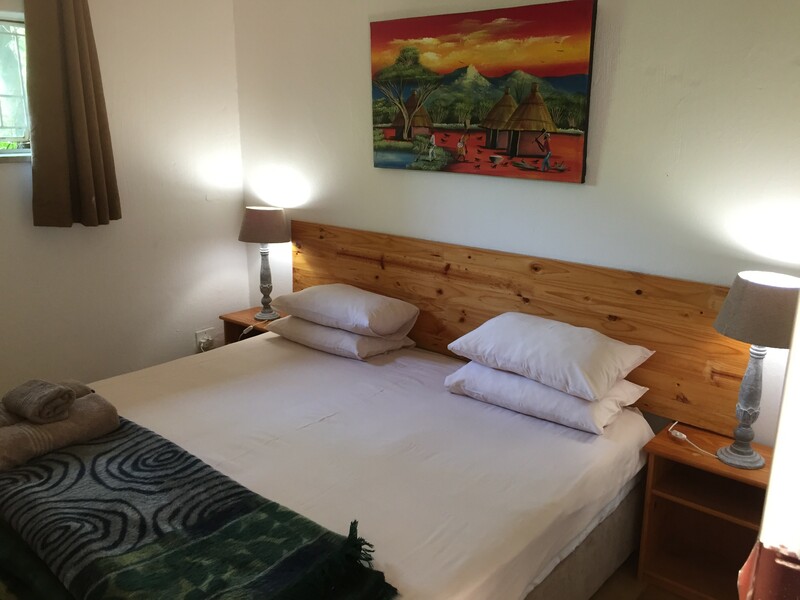 Situated on 10 acres of country surrounds close to Lanseria Airport and the Cradle of Humankind, Pine Valley consists of 11 fully-equipped, free standing self-catering chalets and 2 large entertainment venues. 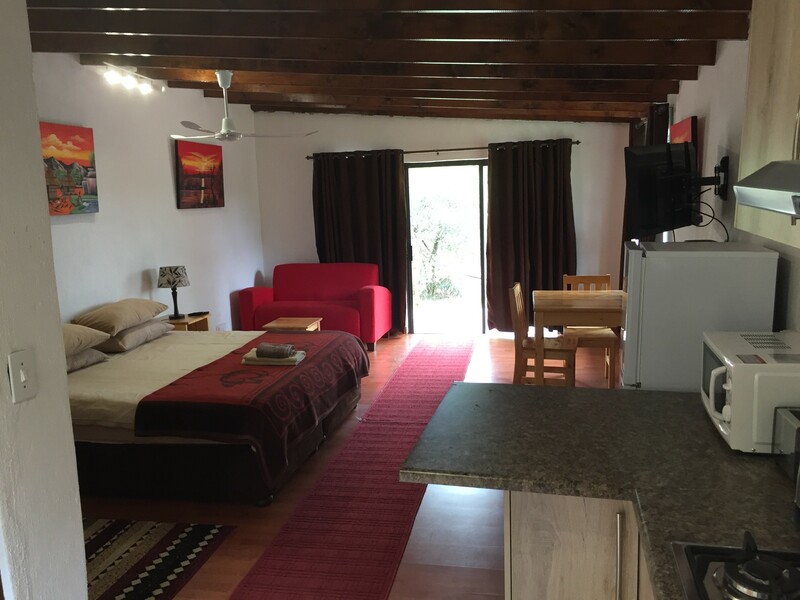 Chalet sizes range from 1 to 3 double bedrooms, all ensuite and sleeping from 4 to 10 people. We can sleep a total of 50. 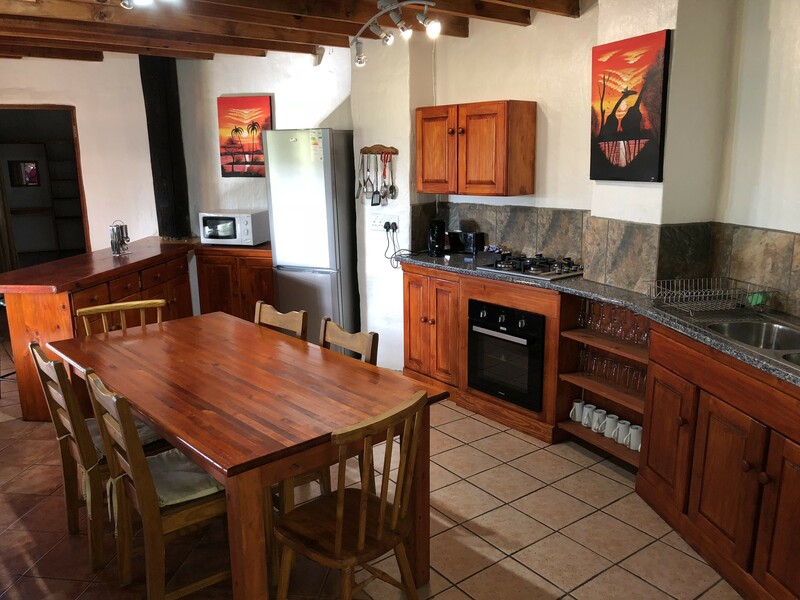 All Chalets have open plan kitchens and are fully equipped for self catering, including for fridge, freezer, stove, oven, microwave and cutlery and crockery. 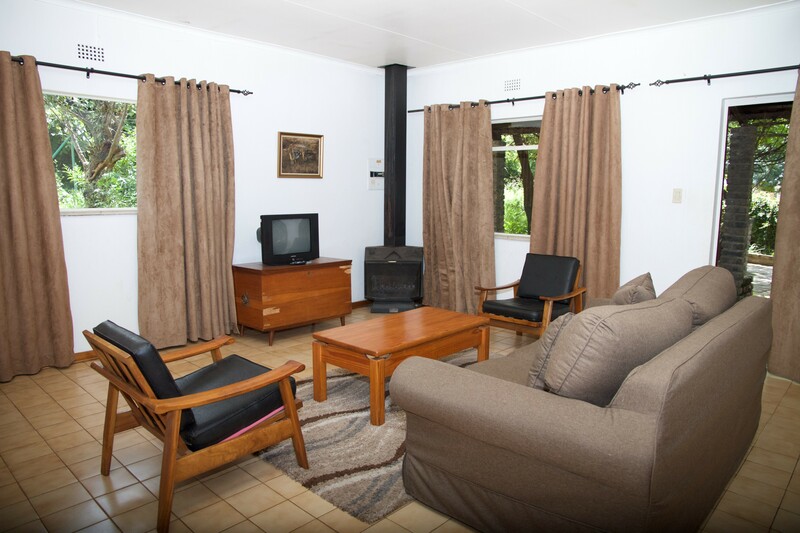 The lounges have DSTV and fireplaces. 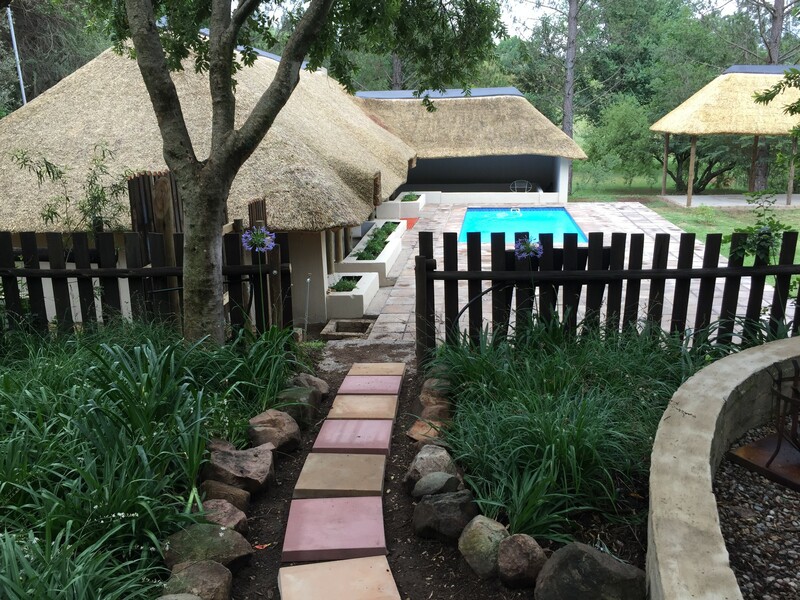 Each Chalet has a private garden area and braai facility.The bedrooms have kingsize beds and / or single beds. 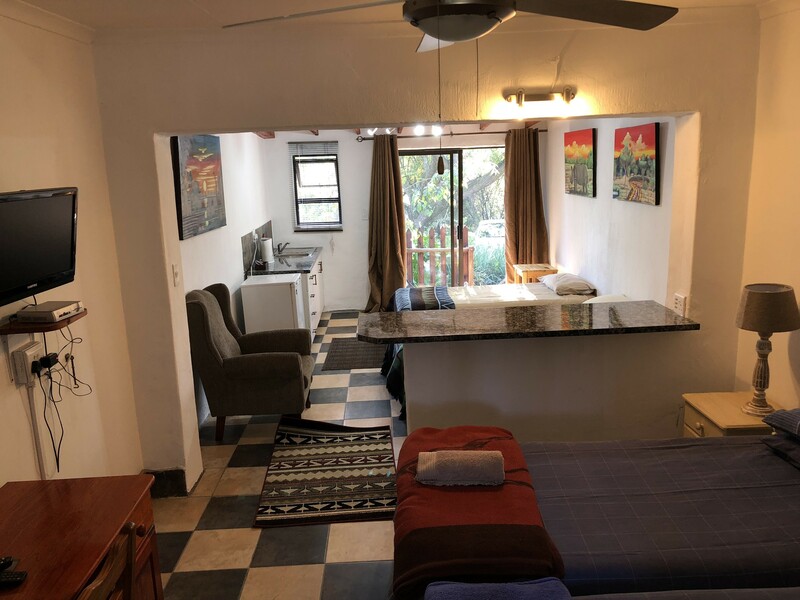 Beds are arranged to suit guest requirements. All Chalets have walk in showers and the Kingfisher Chalet has a bath and separate shower. Linen and towels are provided. 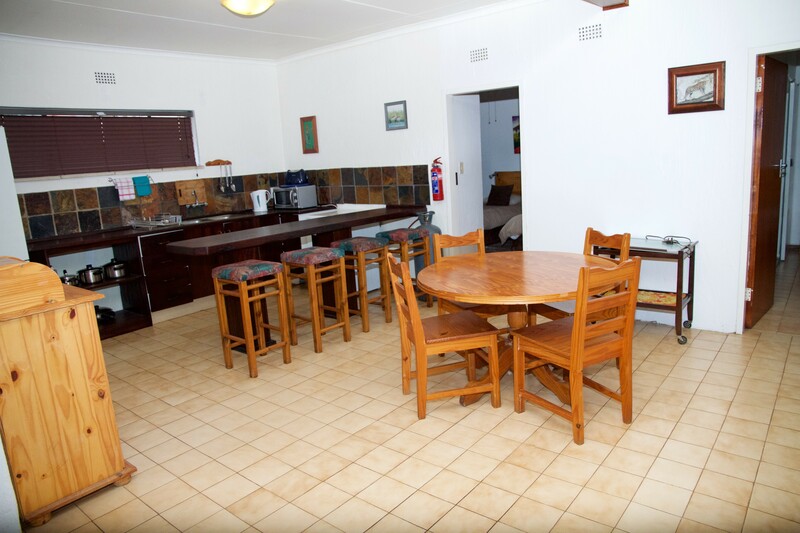 Tea and coffee facilities are provided in all Chalets. 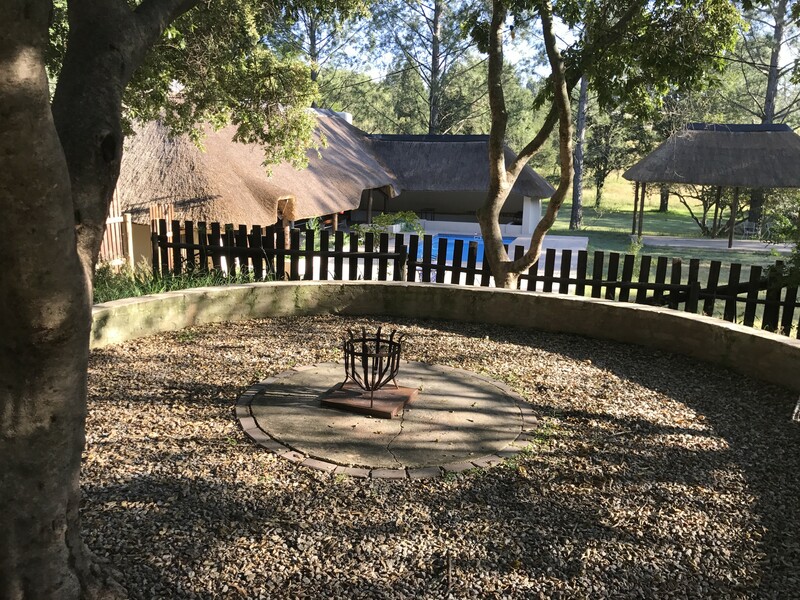 The larger chalets are equipped with fireplaces. 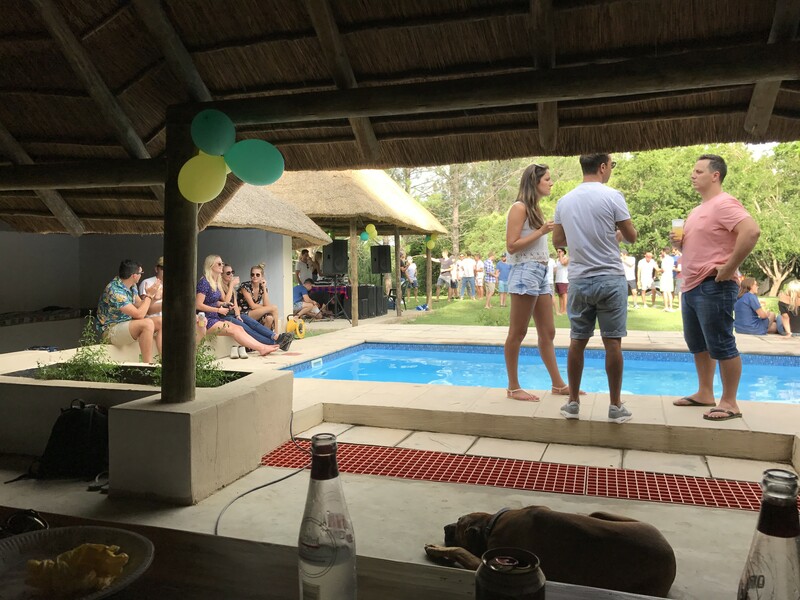 We have 2 large entertainment areas comprising of thatch lapas, boma/ braai and swimming pools.These are ideal venues for bachelor / bachelorette functions, family reunions, team buildings, get togethers etc There is a tennis court and rackets and tennis balls are available. 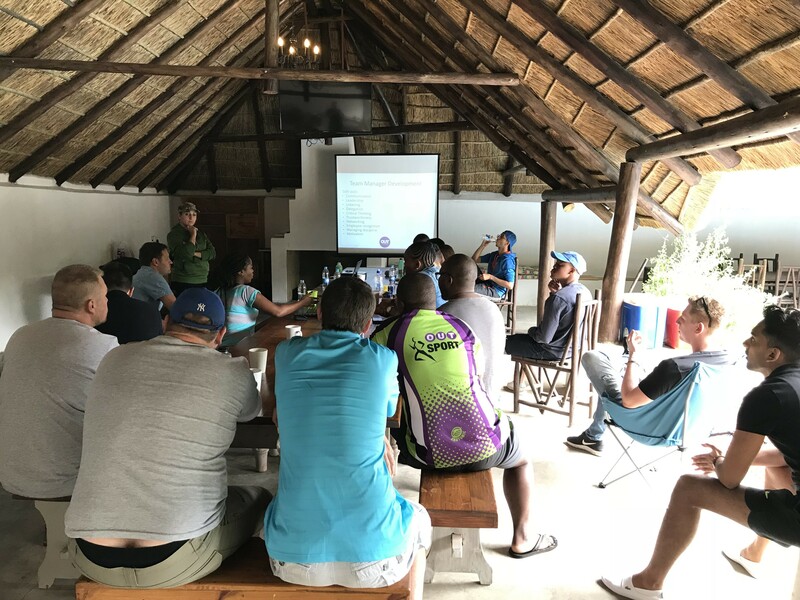 A Conference Centre which can accommodate up to 25 delegates is available for budget and self catering conferences. 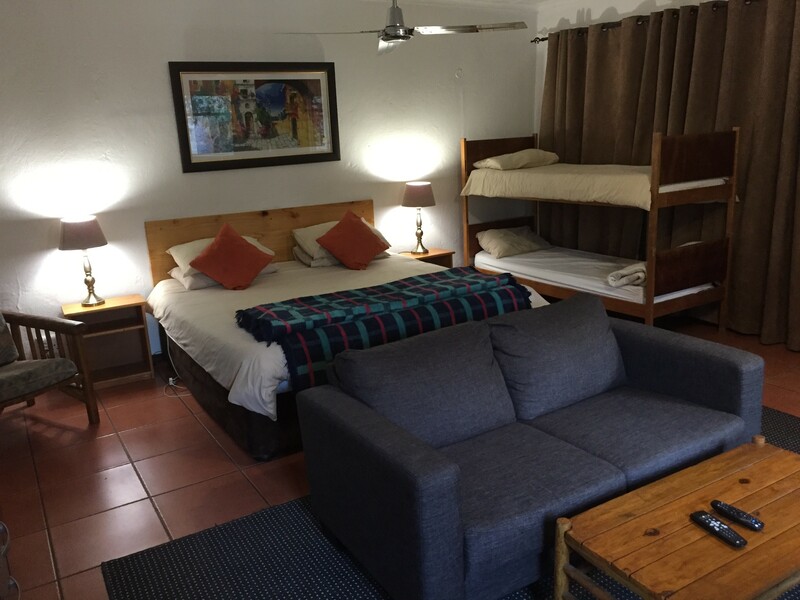 The accommodation is fully serviced and laundry is available upon request. Meals and catering for groups are available upon request. 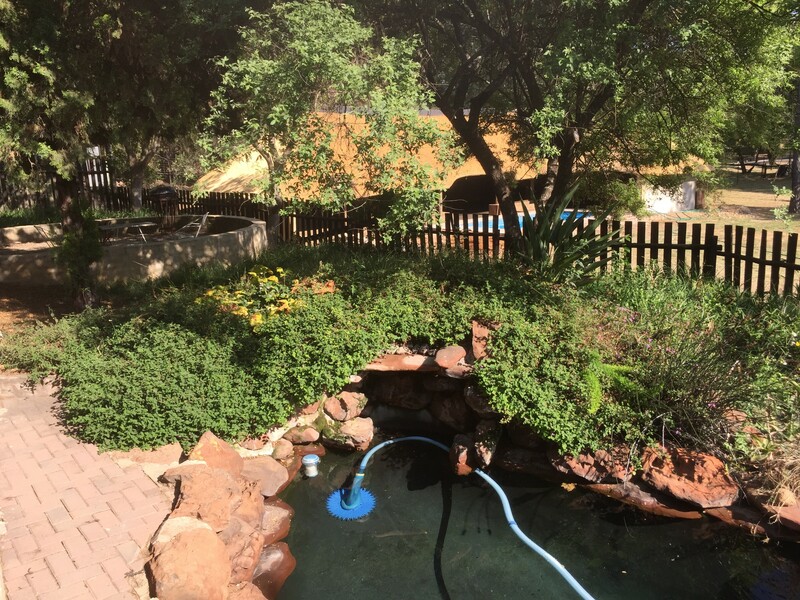 We are situated in the midst of the Crocodile Ramble, close to the Cradle of Humankind, Lion Park, Rhino and Lion Park, trout fishing and horse riding, as well as many popular country restaurants. 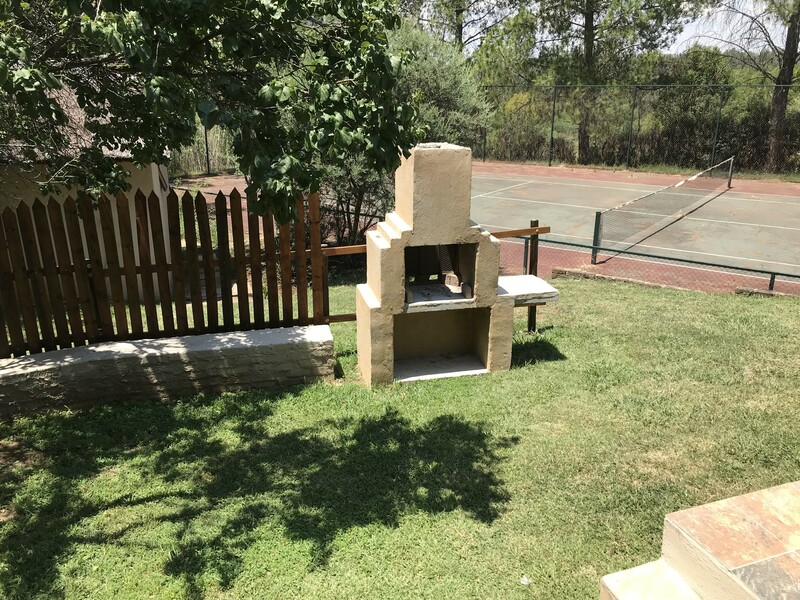 We are 7 km from either the Lanseria, Randburg off-ramp or the Randburg/Zwartkop off-ramps on the N14 R28 Pretoria, Krugersdorp Highway.